Pumpkin Fine Cars and Exotics: DON'T LET THE COLD WEATHER FOOL YOU.. THIS WEEK'S SPECIALS ON MERCEDES-BENZ ARE H.O.T!! DON'T LET THE COLD WEATHER FOOL YOU.. 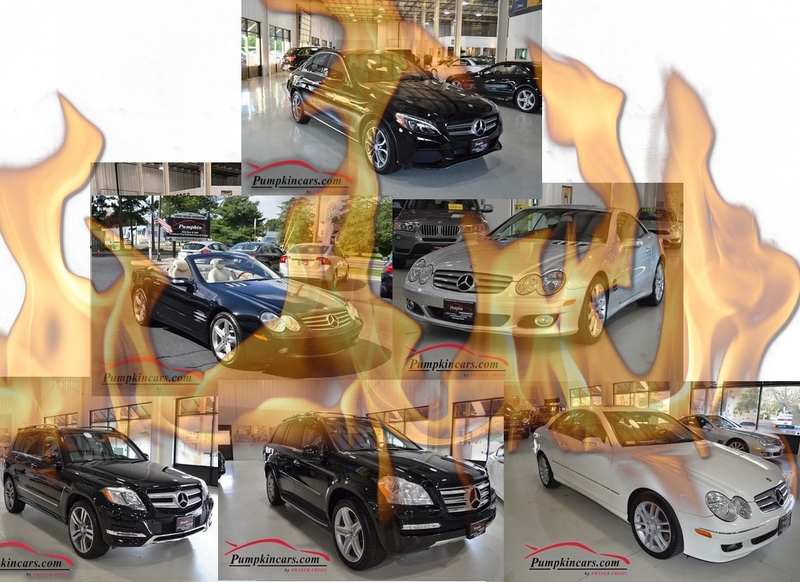 THIS WEEK'S SPECIALS ON MERCEDES-BENZ ARE H.O.T!! 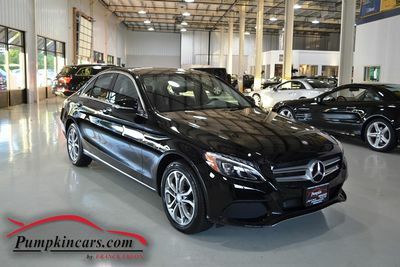 CLEAN CARFAX** ONE OWNER** 34 MPG HIGHWAY ** HEATED SEATS ** CERTIFIED FACTORY WARRANTY UNTIL SEPTEMBER 01, 2019 OR 50,000 MILES ** MULTIMEDIA PACAKGE INCLUDES FEATURES LISTED ** GREAT OPTIONS: COLLISION ASSIST, BACK-UP CAMERA, PANORAMIC ROOF, BLIND SPOT ASSIST ** KEYLESS ENTRY & GO** BURMESTER SURROUND SOUND** NAVIGATION ** BLUETOOTH PHONE & AUDIO** REAR SPOILER ** 4-CYL. 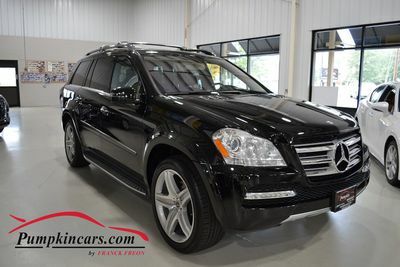 2.0 LITER TURBO GOOD FOR 241 HP ** USB & AUX Ports** CD/MP3 CD PLAYER ** DUAL POWER SEATS W/ DRIVER SIDE MEMORY ** DUAL POWER LUMBAR SEATING** AM/FM/SAT RADIO ** LED Headlamps** ALARM SYSTEM** ATTENTION ASSIST** Garage Door Opener ** CRUISE CONTROL ** Air Conditioning** Auto, 7-Spd 7G-Tronic+** Auto Headlights** Daytime Running Lights** Power Folding Mirrors** Power Windows** Power Locks** Power Seating** 17 Alloy Wheels** Dual Airbags** Side Air Bags** Driver Side Knee Air Bags** F&R Side Air Bags** F&R Head Curtain Air Bags** Traction Control** Hill Start Assist Control** Electronic Stability Control** ABS (4-Wheel)** Tilt & Telescoping Wheel AND MORE! 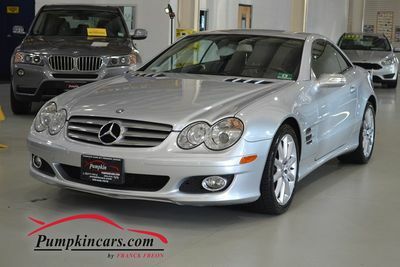 * CLEAN CARFAX ** AMAZING V8 5.5 LITER GOOD FOR 382 HP & COMFORT ACCESS- PUSH START/STOP ENGINE ** SL550 with XENON HEADLIGHTS, BOSE SOUND SYSTEM, NAVIGATION, SATELLITE RADIO, CD PLAYER, AM/FM RADIO, DVD SYSTEM, HEATED & COOLED SEATS, DUAL POWER SEATS ** PREMIUM PACKAGE includes Active Ventilated Seats, Multi-contour seatbacks , Keyless Go, Bi-Xenon headlamps with corner-illuminating fog lamps, Ergonomic Seating ** POWER TRUNK LID ** 2 KEYS & OWNERS MANUAL ** V8, 5.5L Engine ** Power Locks, Power Windows, Power Mirrors ** Power Steering, Cruise Control, Tilt & Telescoping Wheel, Dual Air Bags, Side Air Bags, Knee Air Bags, ABS, Fog Lights, Traction Control, Electronic Stability Control and SO MUCH MORE!! 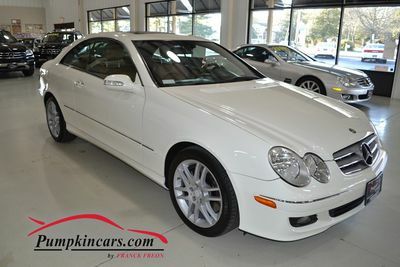 * CLEAN CARFAX ** STUNNING NEAR WHITE INTERIOR W/ MODERN ALUMINUM TRIM ** NAVIGATION ** PANORAMIC ROOF ** BACK-UP CAMERA** 20 INCH RIMS ** COMFORT ACCESS (NO NEED TO TOUCH YOUR KEY) ** PRIVACY GLASS ON REAR WINDOWS ** TRIPLE PREMIUM PACKAGE + APPEARANCE PACKAGE + MULTIMEDIA PACKAGE ** BLUETOOTH PHONE AND AUDIO (MUSIC) ** ALUMINUM ROOF RAILS ** POWER LIFT GATE ** COMFORT ACCESS ** PROGRAMMABLE GARAGE DOOR OPENER ** HEATED SEATS ** PADDLE SHIFTS ** AUX, USB, SD, 6-DISC CD CHANGER, AM/FM/SATELLITE RADIO ** ATTENTION ASSIST ** Power seats w/ memory feature & adjustable lumbar support ** Folding rear seats ** Power tilt & telescoping steering wheel ** ABS, Traction control, Attention assist, Stability control ** Front overhead, side, knee, and dash airbags, Rear curtain airbags ** Rear window wiper ** Eco and Sport modes ** Voice recognition ** Power windows, mirrors, locks ** Autodim side-view and rear-view mirrors AND MUCH MORE!! 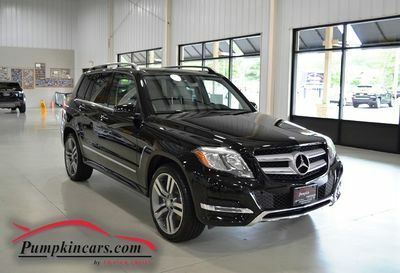 *CLEAN CARFAX** 5.5 LITER V8 ENGINE - GOOD FOR 382HP** MSRP $84,450** 4MATIC FULL LEATHER GL550 w/ POWER 3RD ROW SEATING & AIRMATIC SUSPENSION** PANORAMIC MOON ROOF** NAVIGATION** BACK UP CAMERA w/ BLIND SPOT ALERT** HARMAN/KARDON PREMIUM SOUND** PREMIUM PACKAGES 1 & 2** HEATED F&R SEATS** VENTILATED FRONT SEATS** BLUETOOTH WIRELESS** XENON HEADLIGHTS** POWER LIFTGATE** DUAL POWER FRONT SEATS w/ MEMORY, LUMBAR SUPPORT, SIDE & LEG SUPPORT** PREMIUM 21 inch ALLOY WHEELS** KEYLESS ENTRY & GO** REAR DVD SYSTEM** POWER FOLDING SIDE MIRRORS** CARGO COVER** RUNNING BOARDS** ROOF RACK** TOW PACKAGE INCLUDED** AM/FM/SAT Radio w/ CD/MP3 (multi-disc)** Daytime Running Lights w/ Auto ON/OFF** PREMIUM 1 PACKAGE: hard drive navigation, 14 4GB music register for storing MP3 files, SIRIUS XM Sat radio w/ SIRIUS traffic, iPod/MP3 media interface, HD radio receiver, and Gracenote media database, enhanced voice control for audio and telephone and navigation, 10-way power front seats w/ 3-position memory, power tilt/telescoping steering column, included in driver seat memory, auto dimming driver-side and inside rear view mirrors w/ digital compass displayed in rear-view mirror, power folding side mirrors, power liftgate, 115- volt AC power outlet in cargo area, rear view camera** PREMIUM PACKAGE 2: (all items in Premium Package 1, plus) : harman/kardon LOGIC7 surround sound system w/ Dolby Digital 5.1, Keyless-GO** Cruise Control** Side Airbags, F&R Head Curtain Airbags, Dual Airbags, Side Airbags** Privacy Glass** Hill Descent Control, Traction Control, Electronic Stability Control** ABS (4-wheel)** Power Locks, Mirrors, Windows, Power Steering** Anti-Theft System** AND MORE!! HAPPY NEW YEAR FROM PUMPKIN FINE CARS!! !